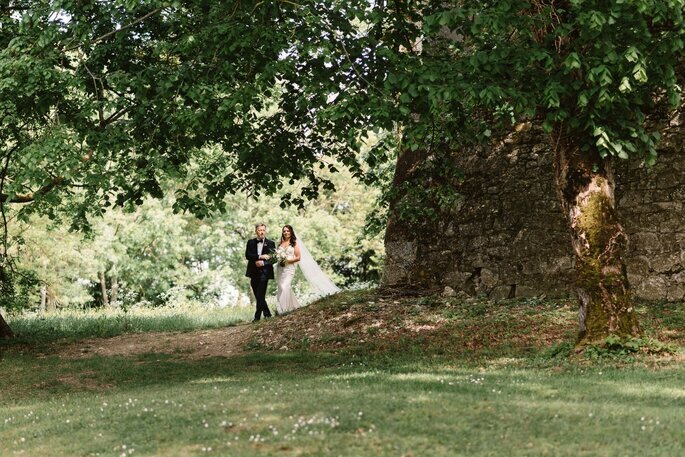 Jenny and Sam's wedding in Gers, France was captured by Andrew Kelly, and transformed into a beautiful vintage video for them to treasure for the rest of their lives together. 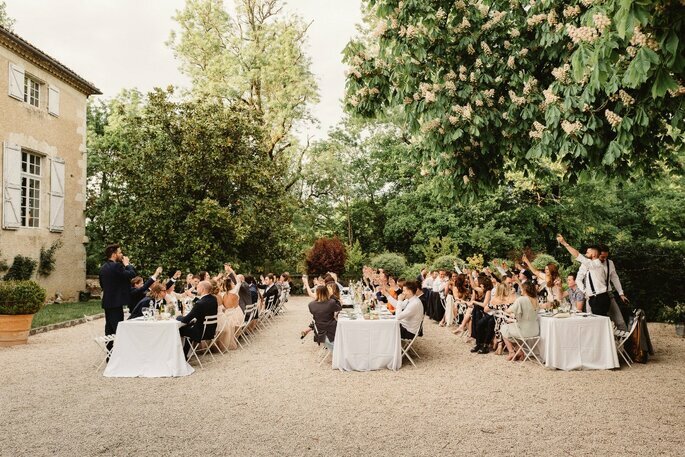 Jenny and Sam were married in a very moving outdoors ceremony in Gers, Southern France – a fitting destination, whose beauty was captured by the highly-skilled videographer Andrew Kelly. Andrew’s videography is a little different from usual wedding recordings – he uses a vintage Super 8mm film, giving his videos a delightful hazy quality, and making them appear almost dreamlike. 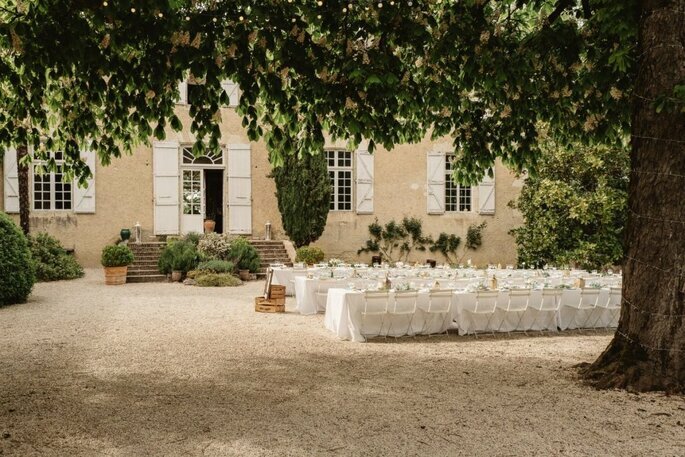 This creates an immensely romantic and nostalgic tone, something that was perfectly suited to Jenny and Sam’s ceremony at the boutique chateau residence Lartigolle. 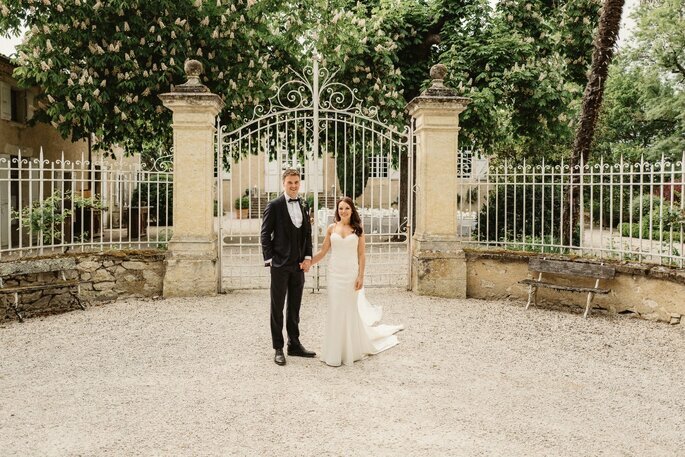 Every detail of Jenny and Sam’s destination wedding was planned with meticulous detail, to make sure that their big day would turn out as perfectly as it did. 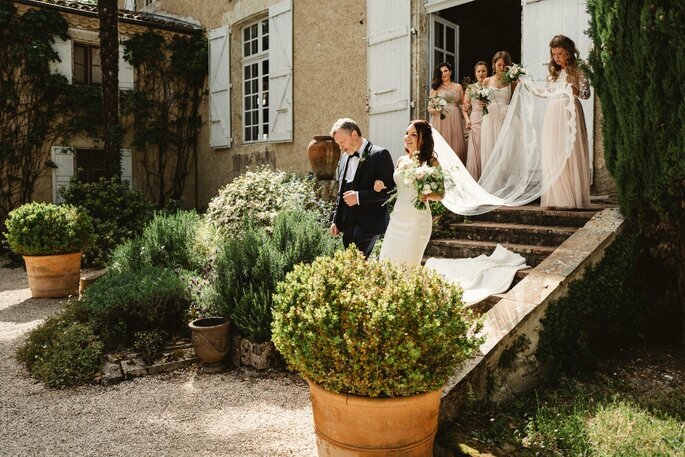 The couple spent months organising the decorations for their ceremony, sending over items to France that they wanted to include, and working with members of the Lartigolle team to decide on themes and colours – an array of pastel pinks and greens, with touches of white and gold, made up the décor on the day. 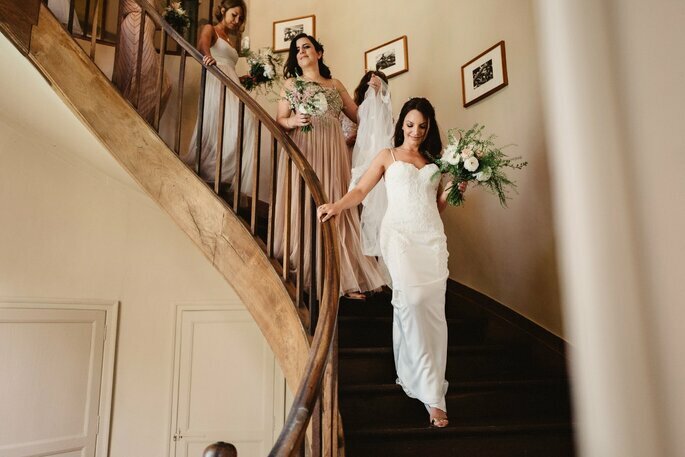 Jenny’s dress was a wonder by itself too – the gown was initially sourced from Essence of Australia, and Jenny made alterations to make the classiest of all wedding dresses. 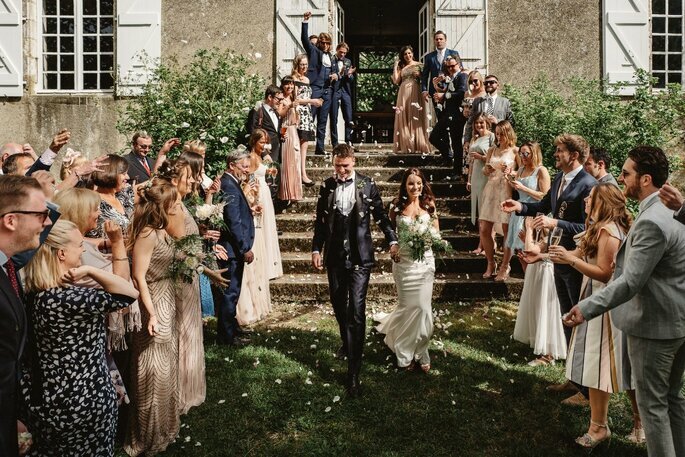 Sam’s suit was tailored to him, and the couple chose the colours together – as an additional feature, he had the date of their wedding stitched into the jacket, a sweet reminder for the years to come. 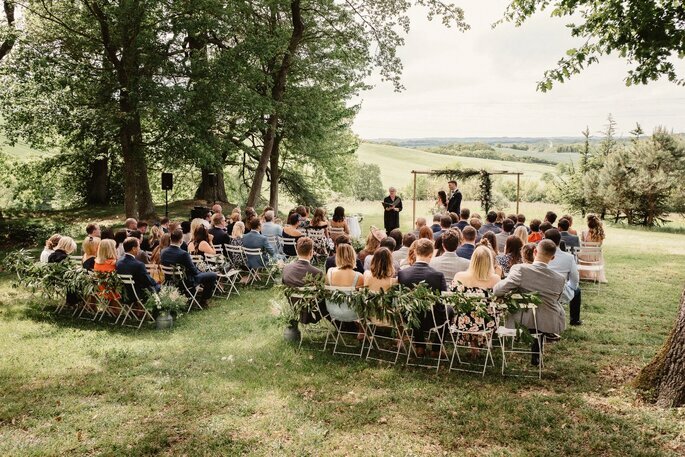 With their closest relatives and friends there to support them on their first step of their journey into married life, Jenny and Sam’s wedding was very much a family affair. Jenny’s hair was done by her maid of honour, and her sister did her hair; meanwhile, their evening of music was under the control of their friend Rob Bishop, with whom they organised a fantastic playlist full of disco, garage, and 90s tunes. Indeed, their reception event was a wondrous affair, with food and drinks provided by the venue until the end of the night, and with plenty of dancing involved! 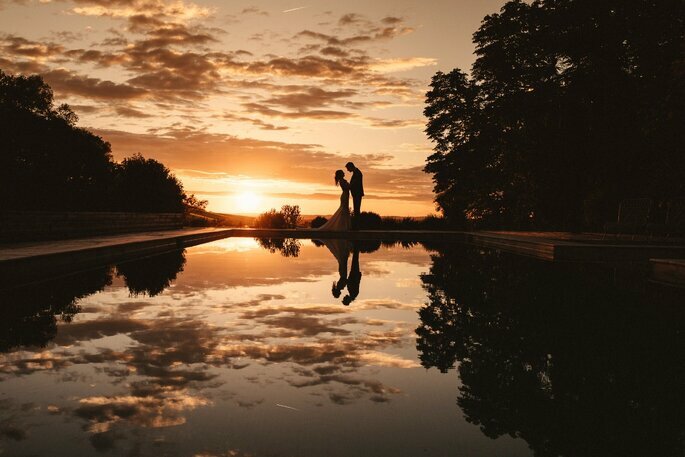 It was an event to remember, which the couple will be able to do with pleasure with the video produced by Andrew – and the photos taken by the talented Darek Smietana, an exclusive selection of which can be viewed below. We wish Jenny and Sam all the best! 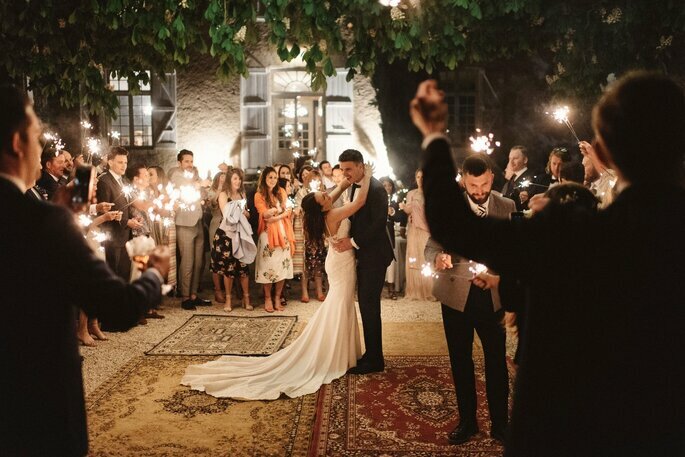 Credits: Videography – Andrew Kelly; Photography – Darek Smietana; Bride’s dress – Essence of Australia; Veil – Britten Weddings; Groom’s suit – Edit Suits Company; Bridesmaids’ dresses – assorted; Groomsmen’s suits – Anthony Formal Wear; Venue – Chateau de Lartigolle; Caterer – Lartigolle team; Music – Rob Bishop; Officiant – Sandie Smith. Would you like to contact Andrew Kelly Films?